Hard on the heels of the correspondence of Flemish mystic Antoinette Bourignon, which was published in EMLO earlier this month, our final catalogue to appear this side of Christmas is that of Amalia von Solms, daughter of Johann Albrecht I of Solms-Braunfels, lady-in-waiting to Elizabeth of Bohemia, and wife of the Dutch statholder Frederick Henry of Orange-Nassau. 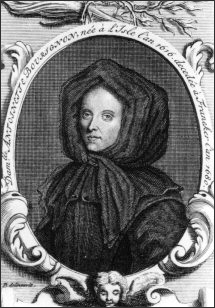 Although much of her correspondence is no longer extant, Amalia, who exercised significant political influence both during the lifetime of her husband and after his death, corresponded extensively with her secretary, Constantijn Huygens, on a myriad of subjects — everything from matters of state to the education of her grandchildren — and it is these letters that form the focus of the catalogue at present. The metadata for Amalia’s correspondence are being made available to EMLO by Dr Ineke Huysman of Huygens ING and over the course of the coming weeks and months additional letters, metadata, and links to external resources will be added. 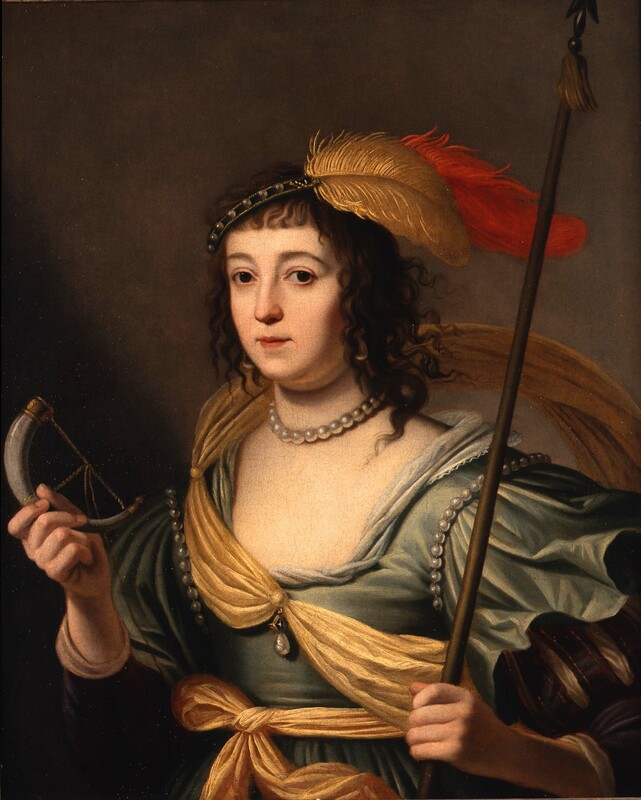 And of course both catalogues — those of Amalia von Solms and Antoinette Bourignon — will contribute in no small measure to the work being conducted by our colleagues at Women’s Early Modern Letters Online. Whilst the correspondence of Constantijn Huygens, currently with metadata taken from J.A. Worp’s edition (The Hague, 1911–17) and provided to EMLO by our partners at the Circulation of Knowledge project from their text-mining database, the ePistolarium, may be consulted in tandem, users will find it particularly useful to follow the links provided in Amalia’s catalogue to the Huygens Brieven Online database, where manuscript images, transcriptions, translations, and printed copies, may be consulted. Hugyens Brieven Online is also under the expert oversight of Dr Ineke Huysman and we are working together to ensure the most accurate and up-to-date metadata is available to scholars in EMLO. On behalf of all at EMLO, I wish you neat locking and a happy midwinter break! This entry was posted in Uncategorized on December 23, 2015 by Miranda Lewis. A landmark publication appears in EMLO this week in the form of the correspondence of an early modern individual so central to the epistolary networks being pieced back together by our research project Cultures of Knowledge that he needs little by way of introduction. Suffice it to say we could not be more delighted to usher into the union catalogue our first installment of the catalogue of Henry Oldenburg’s correspondence. During the past year, work has been underway to collate metadata from the edition published between 1965 and 1986 by Alfred Rupert Hall and Marie Boas Hall, and our intention is to release the resulting calendar in three batches over the course of the coming few months. 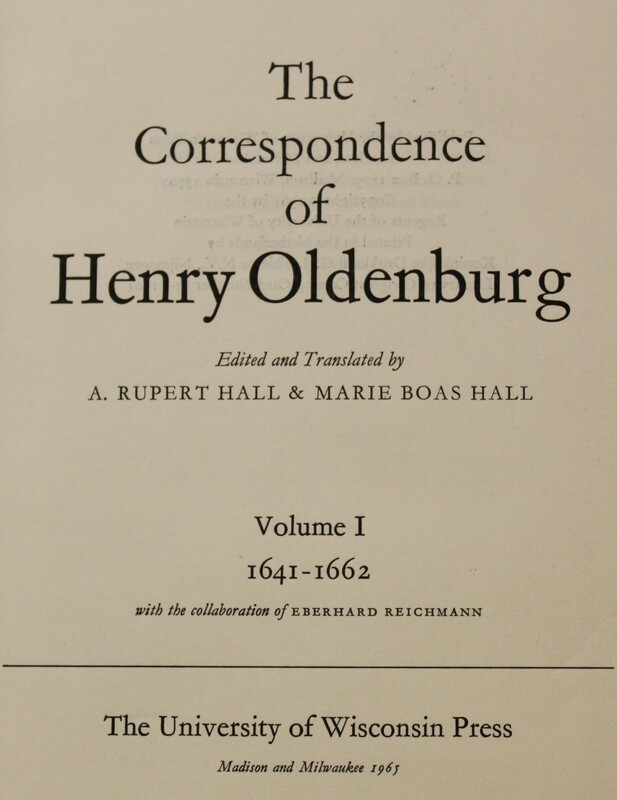 As secretary, Oldenburg conducted almost all of the official correspondence of the early Royal Society. The metadata of the Halls in their remarkable edition represents, therefore, the core correspondence of the Society from its inception until Oldenburg’s death in September 1672. This first third of the correspondence, taken from volumes I to V and spanning the years 1641 to the end of May 1669, intersects seamlessly with five of the key foundation catalogues around which EMLO was constructed: namely those of John Aubrey, Samuel Hartlib, Edward Lhwyd, Martin Lister, and John Wallis. Users of EMLO may wish to note that these are scheduled to be joined shortly by catalogues of many of Oldenburg’s other correspondents, including Robert Boyle, John Collins, David Gregory, James Gregory, Robert Plot, and Francis Vernon. We hope very much that you relish EMLO’s early mid-winter gift of Oldenburg and, when his calendar is brought to completion, that you will watch as links are created and ‘dots’ joined. In the interest of joining still more dots, it should be remembered that although EMLO in its current iteration is primarily a catalogue of epistolary metadata, many individual letter records can accommodate a great deal of further work. Scholars and students focussing on individual catalogues, or portions of catalogues, are warmly invited to enrich them with additional data: people, places, or events mentioned; abstracts; transcripts; or links between series of letters sent and received. If you are interested in making a contribution of this nature, please do get in touch. These are the invaluable details that will help knit together crucial connections across the union catalogue and integrate its innumerable parts into a more densely interlinked whole. This entry was posted in Uncategorized on December 14, 2015 by Miranda Lewis.